Our product range includes a wide range of aluminum ubc can, cable scrap, zinc scrap, aluminium extrusion and copper birch or cliff. 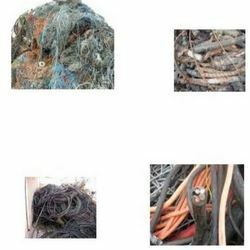 Our clients can avail from us Cable Scrap Of all types that is procured from reliable vendors of the market. These are recyclable and used for various purposes in varied industries. Our Cable Scrap can be availed at industry leading prices, which is ensured from free from any impurities and harmful attachments. Further, these are available in large quantity that enable us to fulfill various requirements. 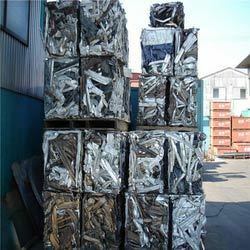 We bring forth importers of zinc scraps for our clients. 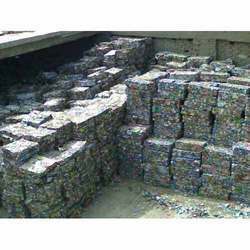 Our Zinc Scrap include: Score and Dross. 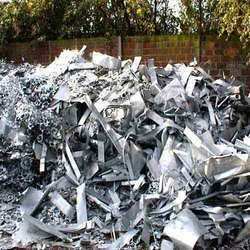 Zinc score consists of clean, dry and unalloyed zinc sheet scrap. Zinc Score is being used for production of zinc sheets also meant for printing industry, for common castable alloys and lead copper-zinc alloys; for hot zinc plating of ready-made products as well as materials; for producing zinc powder used in metallurgical industry and also for production of zinc oxide used in chemico-pharmaceutical industry; for fine chemicals; for acquiring zinc powder used in accumulators. We present a wide assortment of Aluminum that is widely used in various industries. Made from quality components, our collection is acclaimed for its optimum quality level. These are also customized as per the exact requirements of our clients and are accessible from the domestic as well as overseas markets at the competitive prices. Multi Metals are one of the most prolific purchasers of aluminium extrusion in the UK. This gives us enormous sourcing knowledge and purchasing power within the marketplace. Multi Metals have access to the widest possible range of alloys, shapes and sizes. In- depth knowledge of particular specialities means our customers are assured that their extrusions will be sourced from the most cost-effective source. Our range includes special alloys, with shapes and sizes for many industries including transport, marine, railways, medical, aerospace, leisure and sporting goods and engineering. We work closely with our customers to understand their business. This allows us to source the best product for all our customers. In addition to in-house assemblies, we provide full kits for major customer assemblies. Many customers have found major benefits in sourcing from Multi Metals rather than direct from the mill. Shall consist of miscellaneous, unalloyed copper scrap having nominal 96 Percent copper content (minimum 94 Percent) as determined by electrolytic assay. Should be free of the following: Excessively leaded, tinned, soldered copper scrap; brasses and bronzes; excessive oil content, iron and non-metallic; copper tubing with other than copper connections or with sediment; copper wire from burning, containing insulation; hair wire; burnt wire which is brittle; and should bo reasonably free of ash. 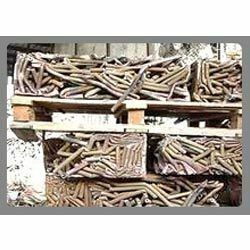 Hydraulically briquetted copper subject to agreement between buyer and seller.